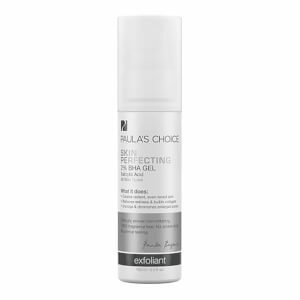 Professional skincare brand Paula’s Choice present the Skin Perfecting 2% BHA Liquid Exfoliant; an award-winning treatment ideal for combination to oily skin types. Rapidly absorbed, the leave-on formula offers a gentle, non-abrasive solution to exfoliation. Utilising Salicylic Acid (BHA), it chemically exfoliates the surface layer of skin, helping to dissolve dead cells and unclog pores for a more even and refined texture. The addition of Green Tea delivers essential antioxidants to neutralize free radicals and provide anti-aging properties, while Methylpropanediol optimizes the efficacy of the BHA and imparts a dewy, fresh finish. Skin is left feeling deeply cleansed and decongested, with a clarified and balanced tone. Please Note: Those allergic to aspirin (acetylsalicylate) should not use products containing salicylic acid (beta hydroxy acid). I was really hoping this would work for since I’ve been trying countless of acne products and wow this is the best salicylic acid product I’ve ever used, it doesn’t burn or leave my skin dry after using it, actually leaves it moisturized which ci surprising. I recommend this product it’s good and it’s worked for me so far. Not sure why everyone doesn't use this amazing product. It does wonders for you. Your skin will look polished. Makes any flakes or pores disappear. Highly recommend. Can't live without it every single night. I finally understand why this has such a cult following. It does extraordinary things to your skin. After only a copy of uses, my skin is smoother and more radiant. Impossible not to notice how quickly it works. Thank you Paula. Amazing product! Clears up congested skin but does not irritate or dry out. Highly recommend! This product is literally a skin saver, that is, if you have tough bumpy skin. If used religiously, along with other quality products, this really makes a huge difference in skin texture. I had stopped purchasing it for awhile because I love using and trying new products but I also come back because it is really effective and very affordable. I feel like even when I wash my face theres always leftovers (I wear heavy make up from time to time) and this helps pick up and clean up any leftovers. WORTH A TRY YOU WONT BE DISAPPOINTED!!!!! I bought this based on the one and only review available. I'm glad I did, I did not have a bad acne problem but rather very clogged pores and impurities that would create little bumps. I used it about 6 or 7 times and my skin has improved dramatically. it is not overly drying and gets rid of dead skin like no other. Nothing has shrunken my pores like this. And it keeps shine away longer too.